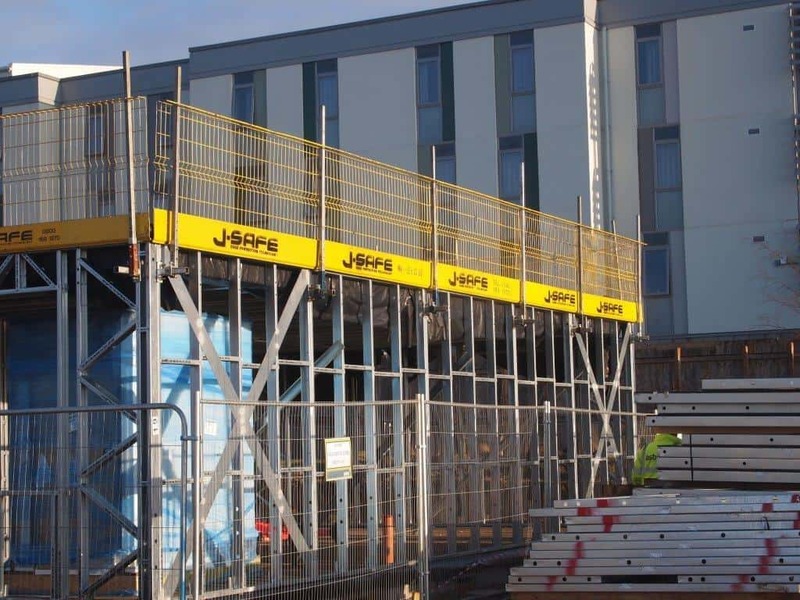 The J-SAFE Temporary Edge Protection System has been successfully used to provide a collective guardrail environment for the erectors of steel modular structures up to four storeys in height. Wall panels are factory manufactured for internal and external walls and when delivered to site are connected to form buildings, typically hotels or student accomodations. Structures are fast to erect on site, and consistent quality is guaranteed due to the off-site facilities in which they are manufactured. 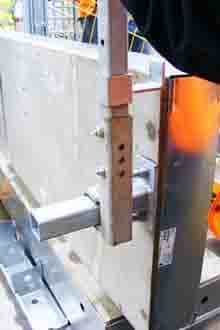 The J-SAFE system is incorporated into the manufacturing process by placing integrated connection points into the structural frame to accommodate J-SAFE Post Assemblies which support the J-SAFE mesh guardrail barrier. 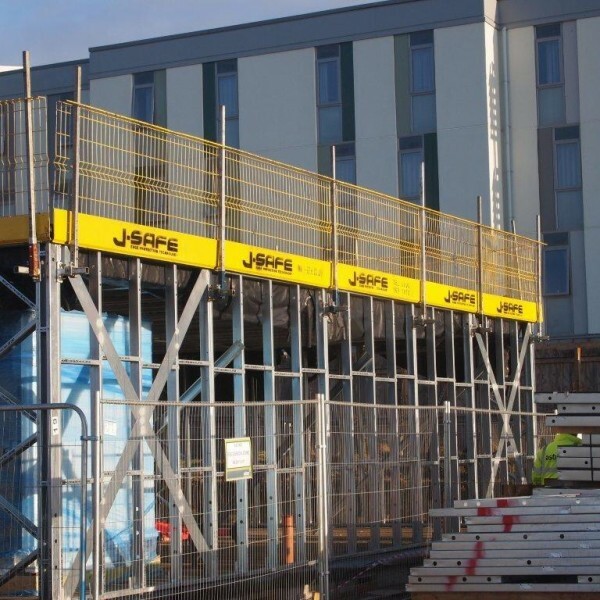 Edge protection is fixed to the wall panels pre-crane lift or alternatively from MEWP’s and once installed, provides a continuous guardrail system, for progressive storey lifts, greatly reducing the risk of the installers falling from height.